T.D. 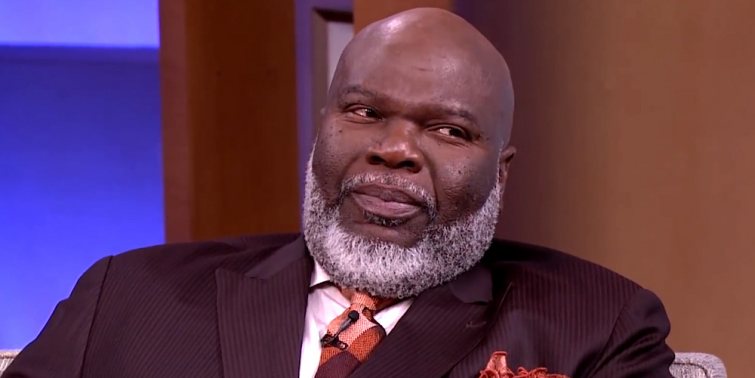 Jakes: "Christians Have To Pass The Love Test"
Pastor Bishop T. D. Jakes believes many pastors are focused more on preaching than they are on bringing people to Jesus, he recently told fellow Texas pastor Ed Young of Fellowship Church. “We have really forgotten the simplicity of relationship and it not only shows in soul winning, it also shows in how we treat each other,” he told Young. “I think it’s because it’s predominantly men and men have a propensity to always want to fix things. We’re so busy trying to fix people, we forgot how to love them. T.D. Jakes also spoke about how to speak to non-Christians.